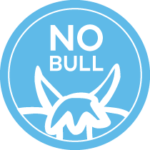 Our Quiet Batt™ soundproofing insulation is a user-friendly product, and you may have no trouble installing it in your home, office or wherever you need privacy and clean sound. However, if you are struggling with floor joists or stud wall assemblies while trying to install your Quiet Batt™ soundproofing, there is an easy solution in the form of our Quiet Batt™ Soundproof Insulation Supports. These 16-inch insulation supports give you a friction fit between 16 inches on wall studs and center floor joists, so installation is a snap with no tools needed whatsoever. Simply put up your soundproofing insulation as needed, and these convenient steel supports hold it right in place. You’ll have no problem using our 16-inch soundproofing insulation supports even if you have never put up soundproofing before. Just put the insulation up and push the supports into place. The friction fit allows you to snap them in right between the floor joists and studs. That’s all there is to it. 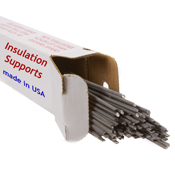 Order as many of these 16-inch insulation supports as you need for full installation of your soundproofing. These affordable supports come 100 to a case, and 24-inch supports are also available. There’s no need to put off installing your soundproof insulation any longer now that you have all the equipment you need for easy installation. Order yours now! Quiet Batt™ Insulation Supports offer a quick and economical way to secure Quiet Batt™ between floor joists and stud wall assemblies. Quiet Batt™ Insulation Supports are made of steel and install quickly and easily with a friction fit between 16 in. on center floor joists or studs. No tools are required for installation. Keeps Insulation in Place — Quiet Batt™ Insulation Supports keep Quiet Batt™ Acoustic insulation in place while completing the installation of the wall or ceiling finishing material. Ease of Installation — Quiet Batt™ Insulation Supports are friction fit between studs and floor joists. Simply push into place. In-stock — We stock large quantities of Quiet Batt™ Insulation Supports. Most products are shipped the same day they are ordered and arrive at your project in one to three business days. Insulation supports have sharp points — wear gloves!